Its spring and what is more fitting in spring than baby chicks? Maybe ducklings, goslings, keets…. Ok just being honest I am a sucker for all of them (it’s the cuteness I just can’t help myself). What better way to start the spring season than with an easy DIY. 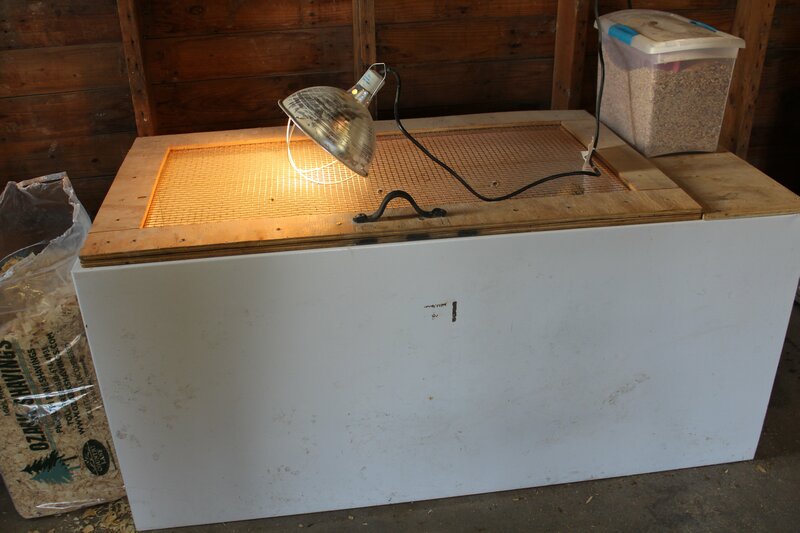 The upcycled (wink, wink) DIY chick brooder. The fun, excitement, endless cuteness and… the stink. Yes as cute as they are they make your home smell like a full-on barn in no time at all. You would not think these cute fluffy little things could make things smell quite as much as they do! But its spring still to cold for the fluffy babies that need 100-degree temps, at the beginning! Trust me I know. So what does everyone do? We donate a bathroom, laundry room or spare room of some sort to the homesteading cause for a month or more (depending on weather). 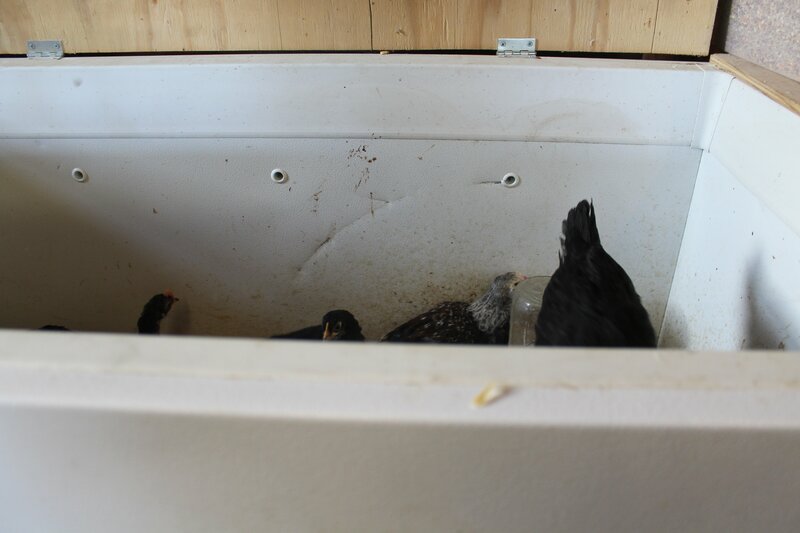 What if you could just take something old, that was going to get tossed out and turn it into the greatest brooder ever. Then skip all the stinky house, spring chicks bit? 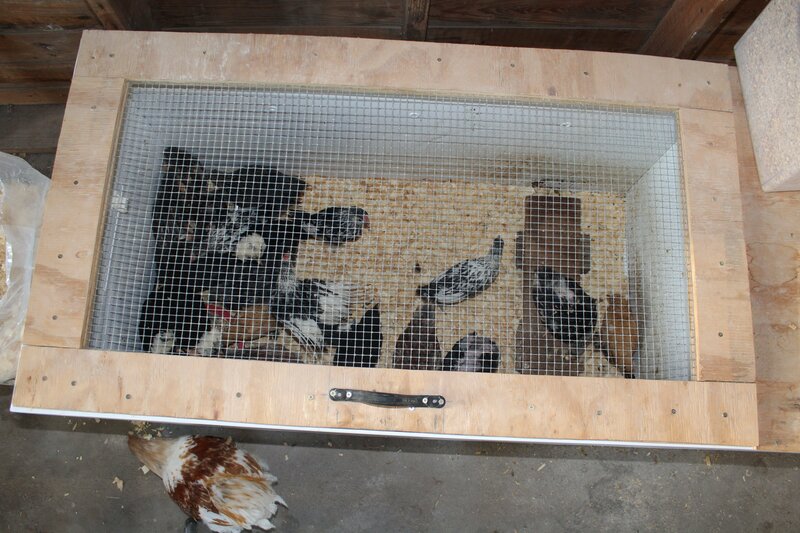 Ok, this is where it gets pretty cool, insulated, upcycled, DIY brooder. I have to admit y’all this, and all props for this go to my good friend and amazing neighbor. The only thing that tops her creativity may be her chicken whispering skills. 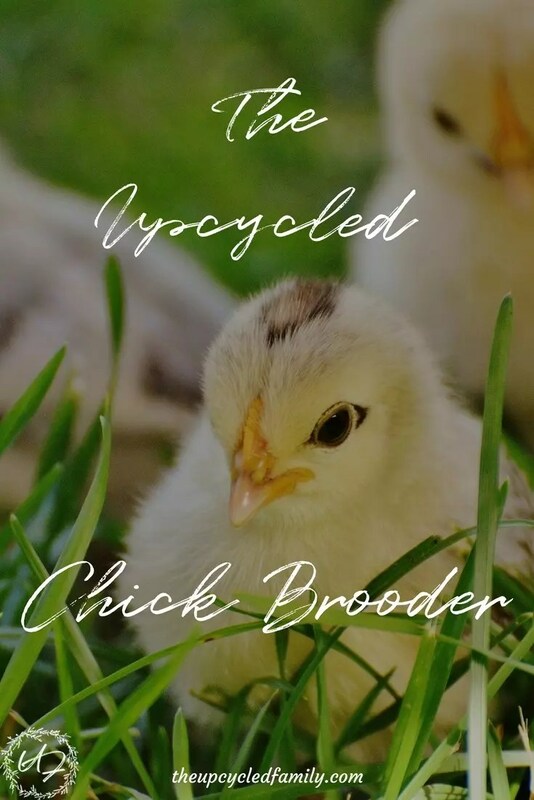 As a legitimate “crazy chicken lady” she has cycling birds through incubating, hatching and brooders like a champ, so an amazing brooder is a must. This is a deep freeze that no longer worked and was upcycled to a better purpose than simply landfill junk. I mean can you hear me, built in insulation! I honestly was not there for the build, so I can not give you a step-by-step. However, the door was removed, along with shelving (this was a standing sort of freezer). 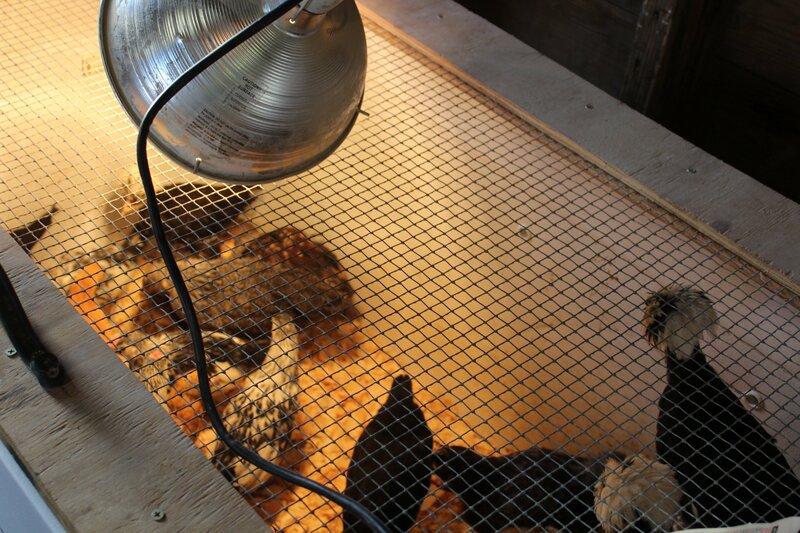 A simple lid was made from chicken wire and frame. 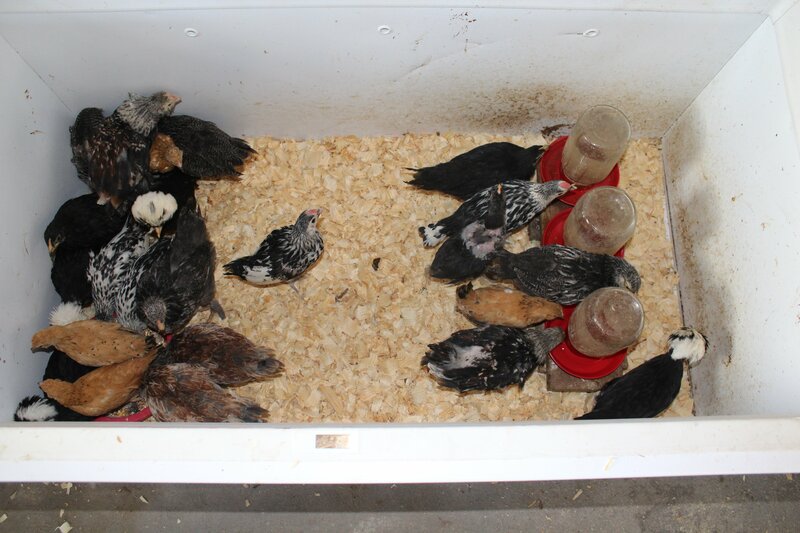 Simple hinges are all that’s needed, to give you an easy access and secure little brooder! We all just love the lovely little balls of fluff, and we, of course, want them to be warm and safe. P.S. Loving all the chicken goodness? 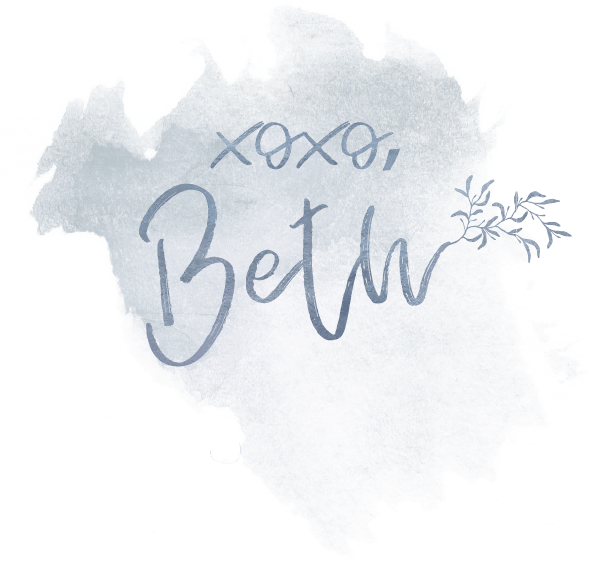 Subscribe to our newsletter and join The Upcycled Family community for more DIY’s, recipes, homestead life and so much more!